Both the Bajaj Avenger Cruise 220 and the Avenger Street 220 have received considerable styling and feature upgrades, while the Avenger 150 Street will remain unchanged. Bajaj Auto will officially launch the bikes later this month. Pune-based Bajaj Auto today unveiled the new 2018 range of the Avenger 220 cruiser motorcycles in India. Equipped with new styling and host of feature upgrades, Bajaj today revealed the refreshed Avenger Cruise 220 and Avenger Street 220 motorcycles. 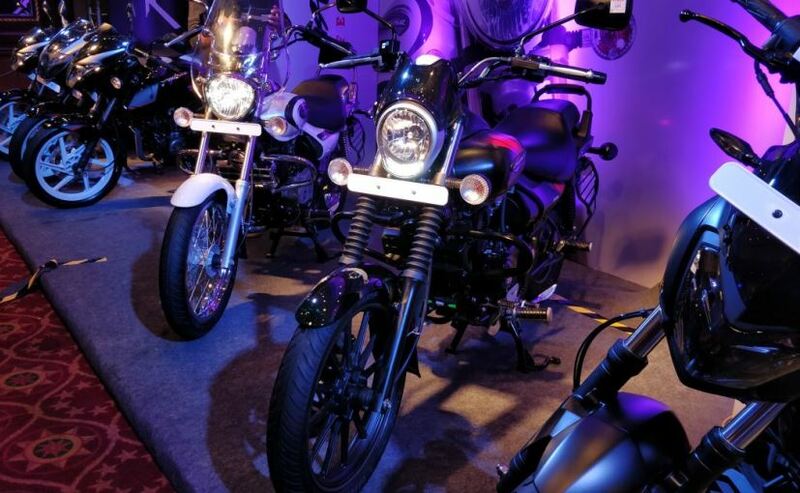 The bikes were showcased at the launch event of the new 2018 Bajaj Discover 110 and Discover 125 and are expected to officially go on sale in India later this month. Both the motorcycles will be offered in two new colour options - Auburn Black and Moon White for the Avenger 220 Cruise and Matte Black and Matte While shade with contrast graphics for the Avenger 220 Street. Among other cosmetic updates and equipment additions, the new Bajaj Avenger Cruise 220 comes with new headlamps with integrated LED daytime running lights, new LED taillamps, and an all-digital instrument cluster. The bike also gets a restyled 'Avenger' badging on both sides of the tank, and Cruise 220 logo on the side panels. Similarly, the Avenger 220 Street will also come with a refreshed design, especially a new Roadster Design headlamps that is also integrated with LED DRLs, a small windshield, all-digital instrument cluster and LED taillamps. The bikes also get slightly revised seats, while rest of the features remain largely similar to the previous model. Mechanically, the bikes remain unchanged and continue to be powered by the existing 220 cc single-cylinder, air and oil-cooled BS-IV compliant engine. The engine develops about 19 bhp at 8400 rpm and 17.5 Nm of peak torque at 7000 rpm. The motor will continue to be paired with a 5-speed gearbox. Other components will remain the same as well with telescopic forks at the front that are now covered with fork gaiters, while the rear gets twin shock absorbers.